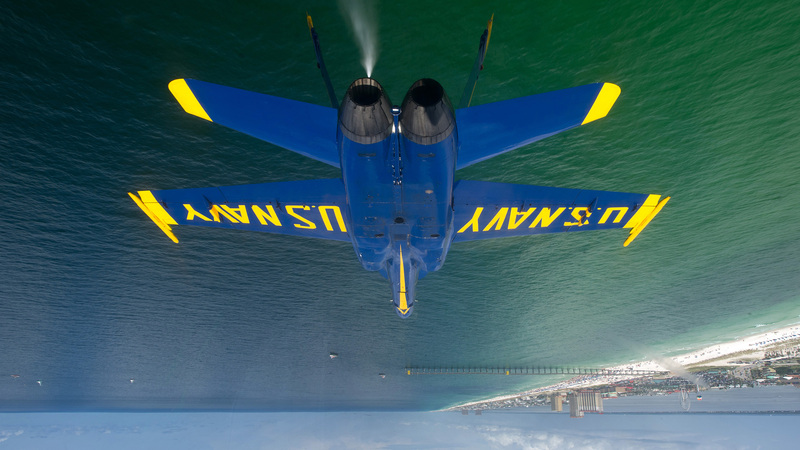 It's not that flying inverted is particularly difficult — if you are Blue Angel, that is. But this photo of one of their F/A-18 Hornets inverted "during the double farvel manoeuvre at a practice flight demonstration over Pensacola Beach" made my head spin a little bit. The Blue Angels 2012 performances are in celebration of the centennial of naval aviation and commemoration of the bicentennial of the War of 1812.